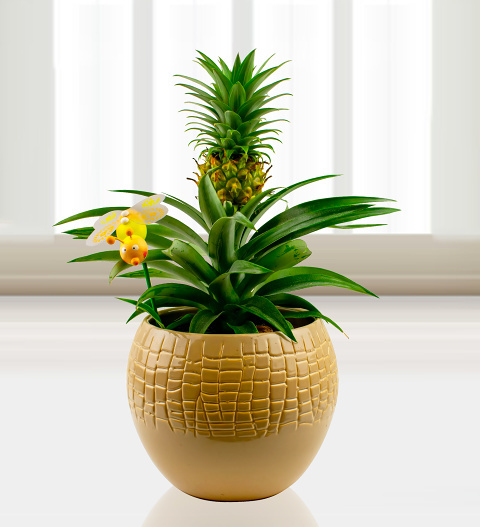 Ideal for celebrating any occasion, this pineapple plant is sure to impress any recipient. Our team of experts have presented it in a pot0 with a cute wooden bug for that little something extra. If you want to send a truly unique gift, you can't go wrong with this delightful pineapple plant. Chocolates may contain nuts.